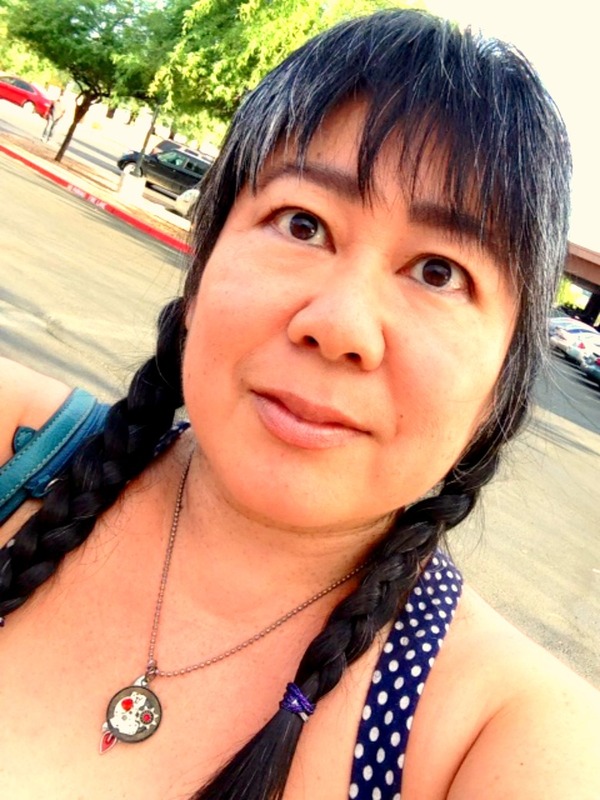 Sharon Suzuki-Martinez is the author of The Way of All Flux (New Rivers Press, 2012). She grew up in Hawaii and now lives in Tempe, Arizona where she created/curates The Poet’s Playlist. She also blogs about weird animals and the poet’s life at Sharon Planet. Laura Davis: Where do you write? Paint us a word picture. 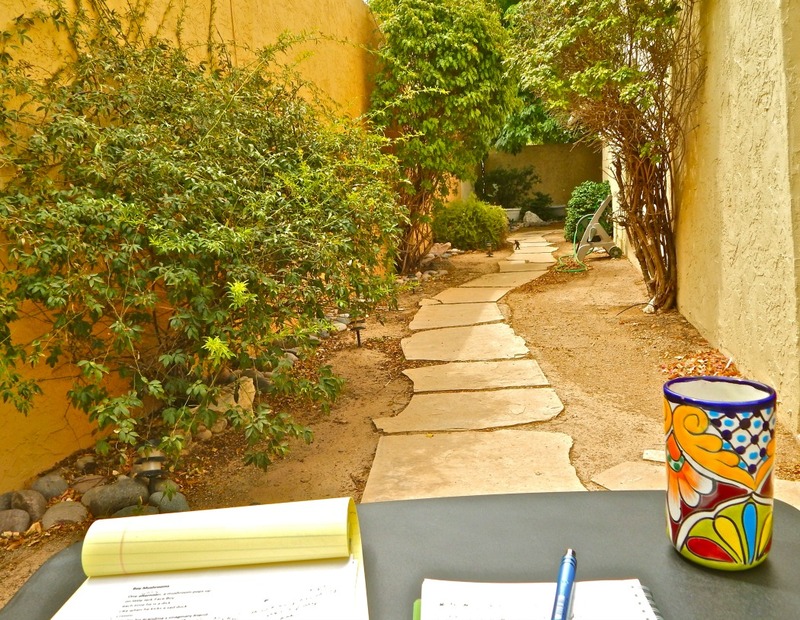 Sharon Suzuki-Martinez: To write, I have to be able to look out a window or be outside. The random flitting of wildlife facilitates my poetic flights of fancy. 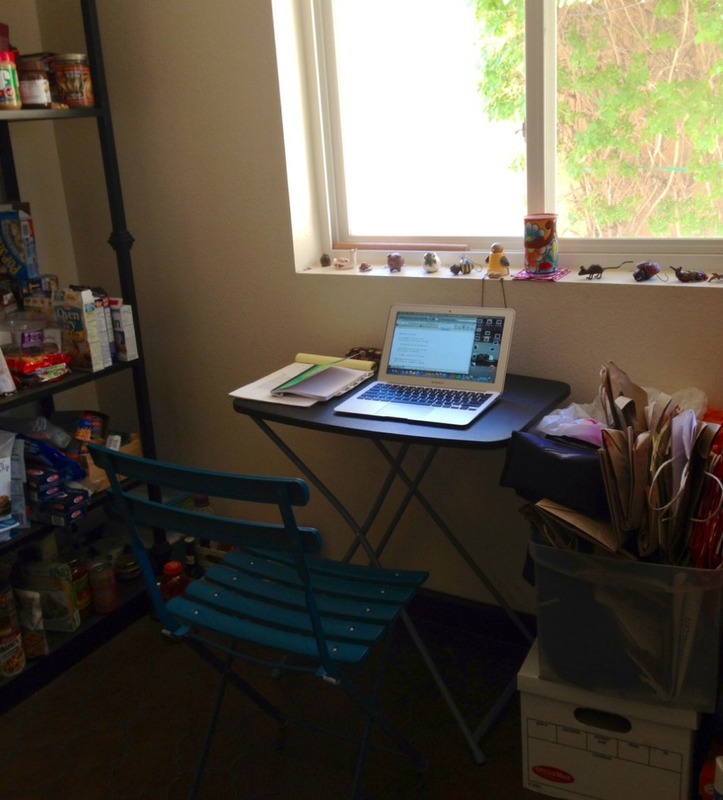 To do this, I have a portable writing studio: a TV tray table and a folding chair. My little office camps out amidst my cluttered kitchen most of the time, but wanders all over the house and outside. LD: How do you begin writing? Do you just dive in? SS: Most often, I’ll hear an interesting line in my head or I’ll misread a sign or a headline on the Internet, so I scribble it down or type it into my cellphone along with notes for directions I’d like the poem to move in. I tend to write and revise in short bursts, but spend long periods of time thinking about the development of a poem. LD: What writing implement do you wield and why? SS: For the last half a year, I’ve only used Pentel EnerGel pens, 0.7 mm black ink. It’s so perfectly designed, all other pens annoy and distract me from what I am trying to write. Before then, for all the poems in my book, I only wrote with husky, colorful Pilot Dr. Grip pens. LD: How do you decide that you are finished working on a poem? SS: Each poem starts out as a seed that has floated into my hands from parts unknown. I take this seed of a haunting phrase, feeling, or experience and cultivate/revise it to sprout, leaf, bud, flower, and fruit. In other words, I know the poem is done when it feels like it has grown into something able to delight and nourish the reader. A finished poem must also be a transformation almost unrecognizable from the initial seed of inspiration. LD: Let’s talk about your writing soundscape. Do you listen to music? Cafe rumblings? White noise? Utter silence? SS: Sometimes I can’t stop listening to or hearing a particular song in my head and this song won’t go away until I write it a poem. I think that songs, like all obsessions, possess us and then release us as new creative expression, as art. I invite poets to explore this and other ideas about poetry and music on my The Poet’s Playlist website. Otherwise, when I write I prefer silence or white noise. My favorite writing white noises are the Rainy Café and Hypnotoad.